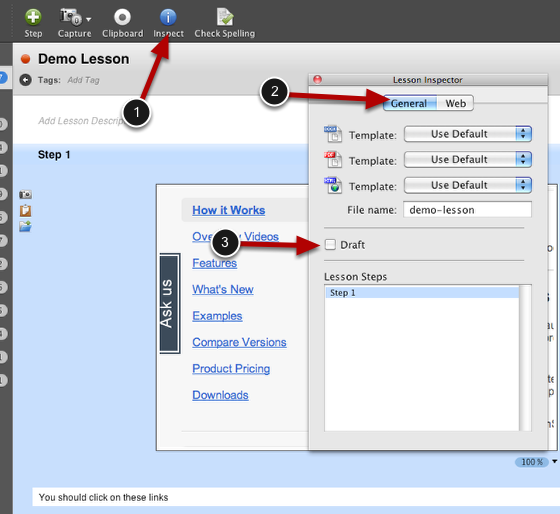 There are two areas where you can set the draft status for a lesson. Right click on the lesson and select Draft. 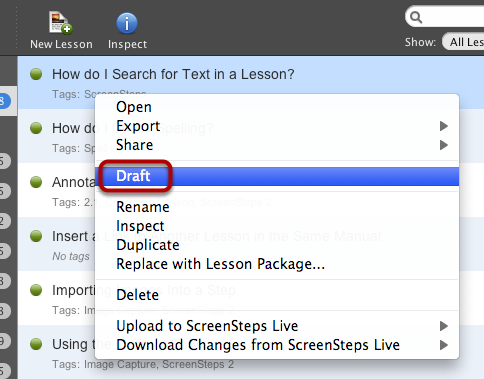 When editing a lesson, open the inspector (1), select the General tab (2) and check or uncheck the Draft checkbox (3). Prev: What is Lesson Status?